Without a bank account your offshore company will not be functional. Therefore ICD Fiduciaries provides offshore bank account opening trough the close collaboration with our banking partners. Mostly offshore banking is associated with big corporations and high level financial system, but this is a myth – also small and middle sized companies can benefit from offshore banking services, the same is with individuals. Although each case is individual, the basic process of opening offshore bank account is common for all the banks. ICD Fiduciaries have created an effective and fast account opening procedures in collaboration with the banking partners, adapting even to frequent banking policies changes. The countries of expected incoming and outgoing payments. After receiving the above information about account holder, business activity, planned transactions and purpose of the offshore bank account opening, the responsible person of the clients case will prepare an introduction to the bank for pre-approval. Once the bank has approved the project, we inform the client. 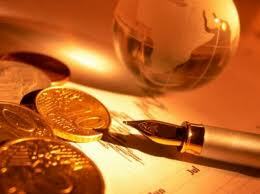 We send the information about the bank, bank charges and banking services. Additional supporting documents upon request of the bank. In some cases there are additional requirements to open the account. These requests are to avoid money laundering, tax fraud or other illegal activities that are often associated with offshore banking. When all the documentation has been submitted each banks legal department has it’s own time scale of reviewing the case. The average time to open a bank account is 5 working days. If the case is urgent, client can choose an express account opening with additional cost (paid directly to the bank). Express opening takes 24 hours. Once the banks legal department approves the file, bank account is opened and activated for transfers. Client will immediately receive the bank details and access to the internet banking. The bank card will be issued just after account is opened. In order to activate the bank account, client needs to make a first transfer on the account. Once an offshore bank account is opened it is important to keep the bank informed if the company’s trading pattern is set to change or a large or unusual transaction planned, because on any unexplained account activity bank will react with strict caution. It’s always wise and suggested to pre-warn the bank and provide documentation that the bank can understand and maintain evidence of the reason for the proposed transaction. In case of any technical or financial support needed, each client will receive their direct contact person details from the bank. The banker will be able to help you faster and more effectively, as only the client has the access to the account and due to the strict confidentiality no third-person can have any information about the operations or transactions relate to the account. Or for more easier communication we suggest to use internal e-banking message system. ICD Fiduciaries is an international and offshore corporate provider which guarantee confidentiality and offer high quality service. Contact Us to submit your project and we will give a free advice. – Offshore bank account types and Means of payments.